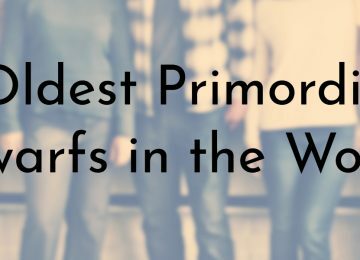 Although the world’s average life expectancy is about 71.5 years (68 years and 4 months for males and 72 years and 8 months for females), all ten of the people on this list have defied these numbers and are supercentenarians, or someone who has lived beyond their 110th birthday. 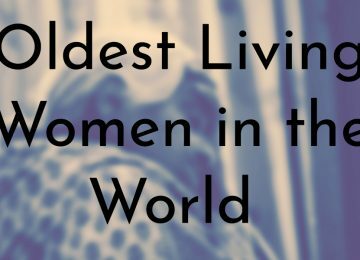 All of the oldest living people in the world are women, as women typically live longer than men – additionally, the oldest living people ever in the world (with validation) have been women. 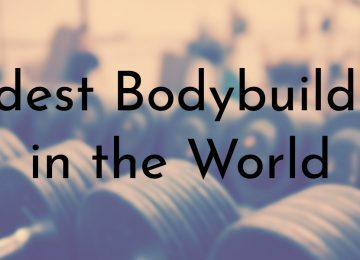 A majority of the women on this list are from Japan, which according to the World Health Organization, has the highest life expectancy in the world. 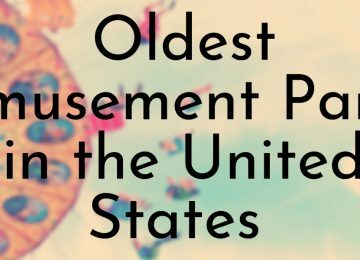 Ila Jones is the second oldest living American, the oldest person alive in the state of Georgia, and the tenth oldest overall in the world. 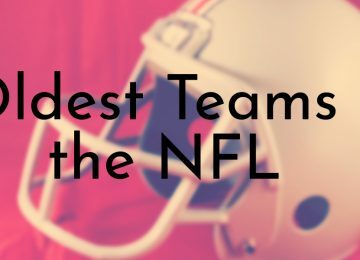 Like most of the women on this list, Jones was born in 1903 and has lived long enough to witness the Halley’s Comet twice in her life (in 1910 and 1986). Jones worked as a teacher throughout her life and married her first husband Paul Sewell in 1928; a couple years after Sewell passed away in 1958, she married Frank Jones. At her most recent birthday celebration in late August, Jones’ granddaughter said that she is still healthy and when she isn’t tired, Jones still has a sharp mind and sense of humor. 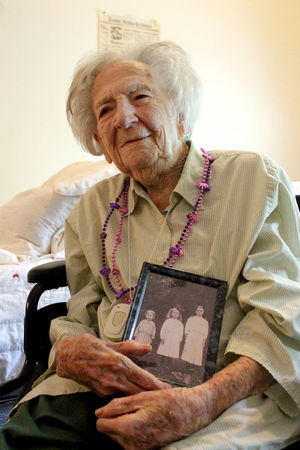 Delphine Gibson is the oldest living person in America and currently the ninth oldest person alive in the world. Gibson was born in South Carolina in 1903, but has been residing in Pennsylvania since she married her husband, Taylor Gibson, in 1928. She and her husband had three kids and Taylor passed away in 1980 at aged 88 – Gibson has remained widowed since then and shortly after her husband died, she went blind. Since 2002, Gibson has lived at Huntington Park’s AristaCare assisted living facility. 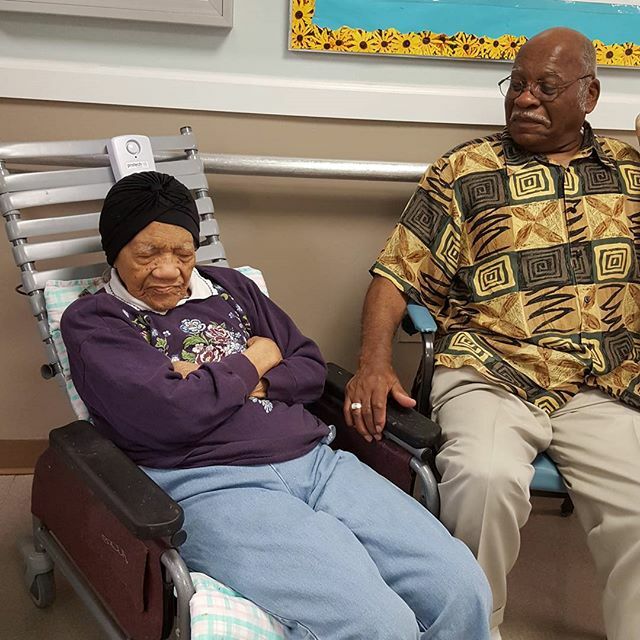 Gibson is a member of the Mount Hope Missionary Baptist Church and says that her long life is due to her faith in God. 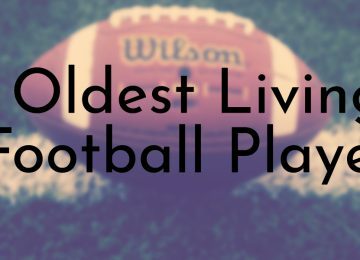 Tae Ito, who was born in 1903 like several of the other people on this list, is yet another supercentenarian from Japan. She is currently the fifth oldest living person in Japan and the oldest person living in the Iwate prefecture. Ito spent her whole life working in agriculture and retired at the age of 90. Since her 111th birthday, Ito has been wheelchair-bound, but her family said that she still liked to read and do origami with her friends. She was married in 1925 and had nine children. 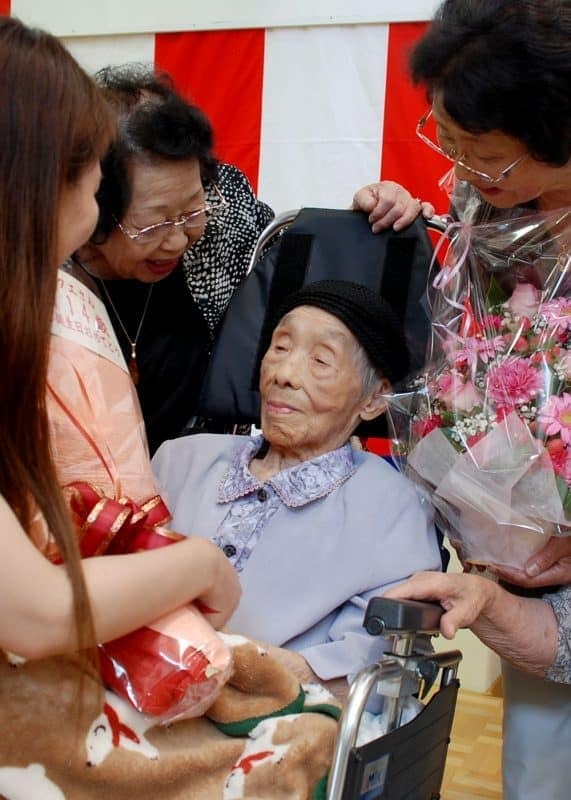 At her 114th birthday, which was over the summer, it was reported that seven of her children are still living and that she still enjoys reading, but is no longer able to make origami. Iso Nakamura is another confirmed Japanese supercentenarian. She was born in 1903 in the Ishikawa prefecture, where she is still living today. 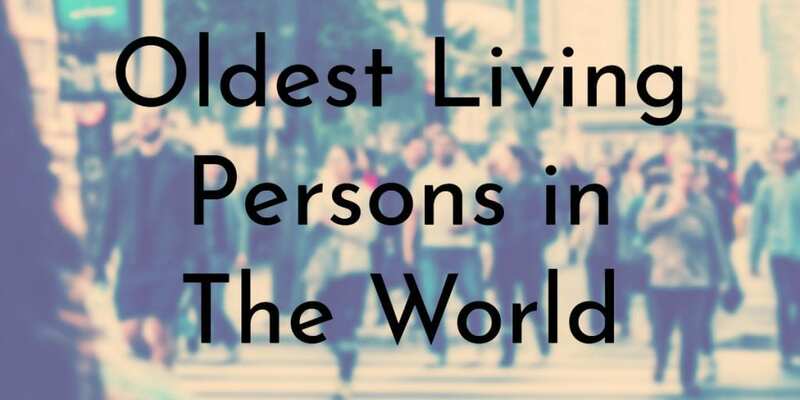 Nakamura is the fourth oldest living person in Japan and seventh overall in the world. 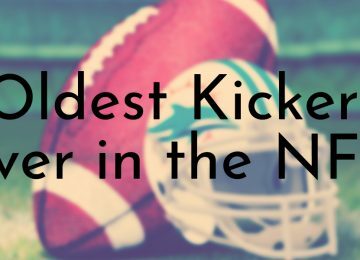 Not much is known about her history or her current life. However, her longevity is probably due to similar aspects of the other Japanese supercentenarians’ lives such as a balanced and light diet. 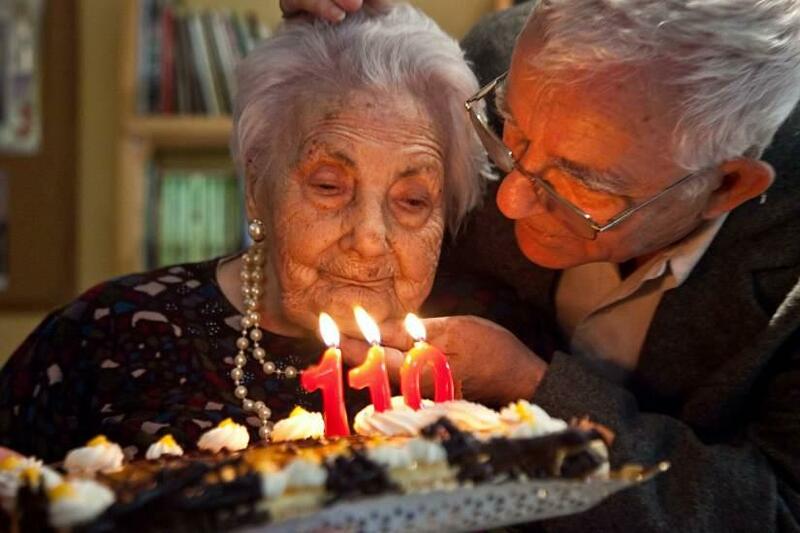 Maria Giuseppa Robucci, who is known as Nonna Peppa, is one of a few Italian supercentenarians and is the sixth oldest living person in the world as well as the second oldest person alive in Italy. She was born in 1903 in the Italian province of Foggia and she married her husband, Nicola Nargiso, in 1928. Robucci and her husband had five children: Angelo, Concetta (who is now a nun named Sister Nicoletta), Antonio, Giuseppe, and Filomena. Despite her advanced age, Robucci is still going strong – she recently (summer 2017) underwent surgery and is once again in full health. Robuccis says that she owes her long life to her faith in God, a good diet, avoiding alcohol, and having a positive attitude. Kane Tanaka is currently the fifth oldest living person in the world and one of several Japanese supercentenarians. 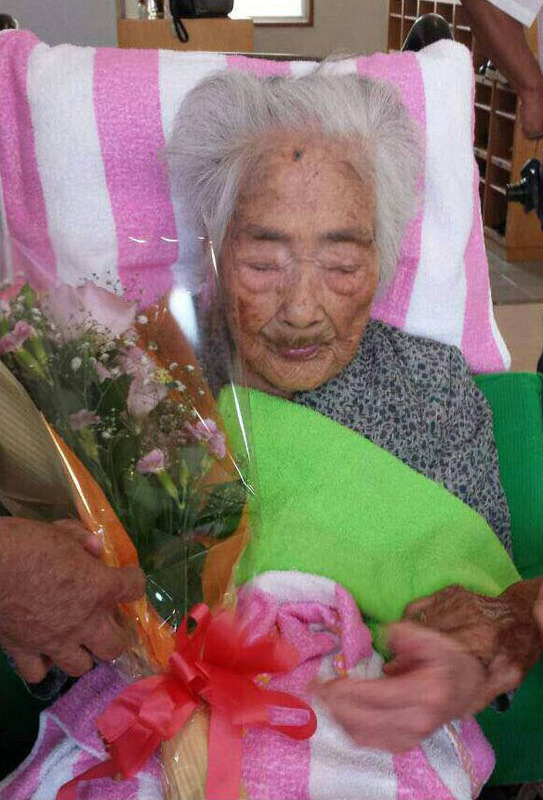 She was born in 1903 and currently lives in a nursing home in the Fukuoka prefecture. 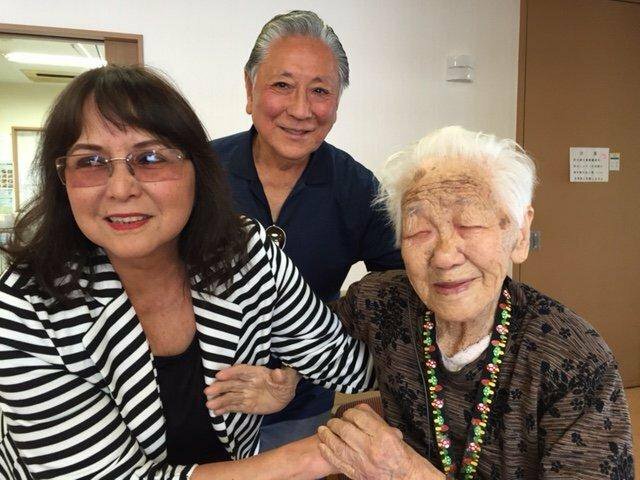 In 2016, Tanaka’s great nephew Gary Okada Funakoshi and his wife Linda visited her in Japan to celebrate her 113th birthday. Funakoshi says that his aunt likes to write poetry and still remembers her trip to the U.S. in the 1970s to visit her relatives in California (the Funakoshis are from California) and Colorado. He also said that she attributes her long life to her faith in God. 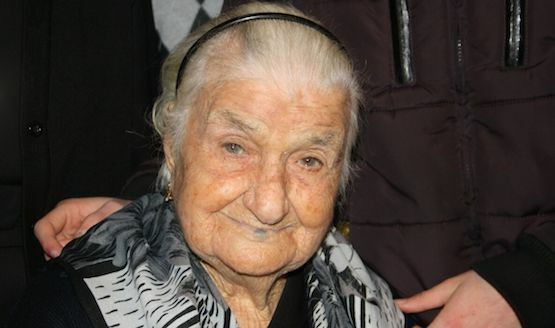 Giuseppina Projetto is the oldest living person in Italy since the death of Emma Moran (117 years, 137 days) in April 2017 as well as the death of Marie Gaudette (115 years, 110 days) in July 2017 – she is also the oldest person born in Italy since Emma Moran’s passing, as Gaudette was born in the U.S. Projetto was born in La Maddalena in Sardinia, but is of Sicilian origin. In 1946, she move to Florence and married Giuseppe Frau, a widower with three children. Projetto still lives in Florence with one of her daughters and grandchildren. 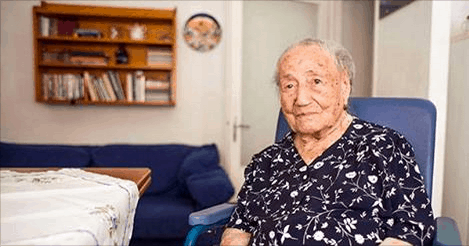 Ana María Vela Rubio is a Spanish supercentenarian who is the oldest verified Spanish person ever. She is currently the oldest person alive in Europe after the death of Emma Morano (aged 117 years, 137 days) in April 2017 and the third oldest living person in the world. Vela Rubio was born in Puente Genil, Cordoba, Spain and worked as a dressmaker in her youth. 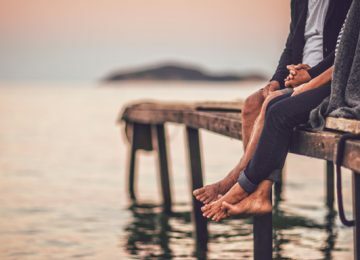 Although she never married her partner because of her parents’ disapproval, the couple had four children: Carmelita (who passed away when she was 10), Antonio, Ana, and Juan. Since 2005, Vela Rubio has been living in a nursing home and suffers from dementia. Chiyo Miyako is another verified Japanese supercentenarian and is the second oldest person alive in the world. 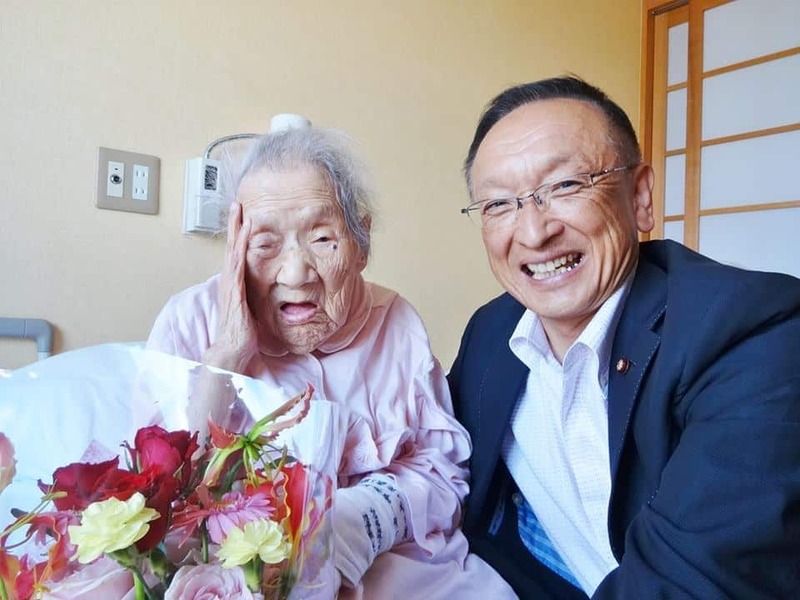 She was born on May 2, 1901 and has been the oldest living person in the Kanagawa prefecture since 2015. 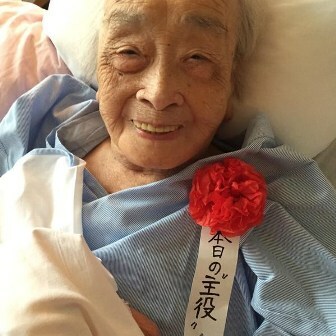 Kiyoko Ishiguro, who was 114 when she passed away in 2015, was the second oldest living person in Japan at the time, the fifth oldest in the world, and the oldest person alive in the Kanagawa prefecture. Not much is known about Miyako’s life, but despite her waning health she is still living in Kanagawa. Nabi Tajima is currently the oldest living person in the world and was awarded the title after Violet Brown, who was 117 years and 189 days, passed away in mid-September 2017. 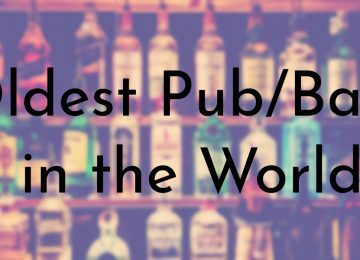 Tajima is the oldest verified Japanese and Asian person ever – her age is also verified by the Guinness Book of World Records. She was born in 1900 in Wan Village of Kagoshima, Japan. Tajima had nine children and currently has about 160 descendants including 28 grandchildren, 56 great-grandchildren, and 35 great-great-grandchildren. Although Tajima has never publicly spoken about her lifestyle, many believe that her longevity is due to her simple diet of ramen noodles and mackerel sushi.